Within Teamwork Projects, you can create a project channel in Teamwork Chat for the project, directly from the project's settings. You can go directly to the Settings tab within the project, or click the options button (three dots) to the right of the Overview tab. 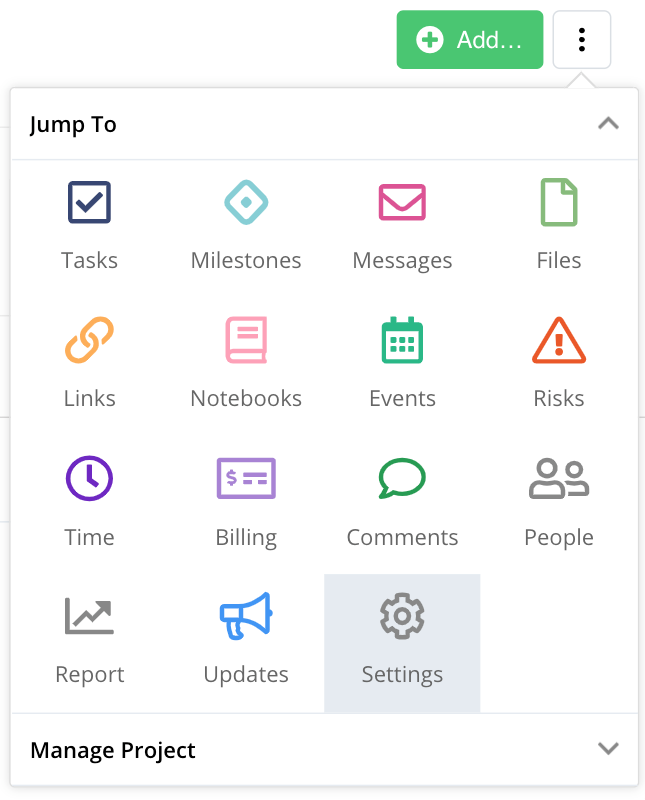 By enabling the channel feature in the project settings, a project channel will automatically be created in Teamwork Chat, giving all members of the project access to it. Once it has been enabled, you will then be able to access the channel through a link in the settings. 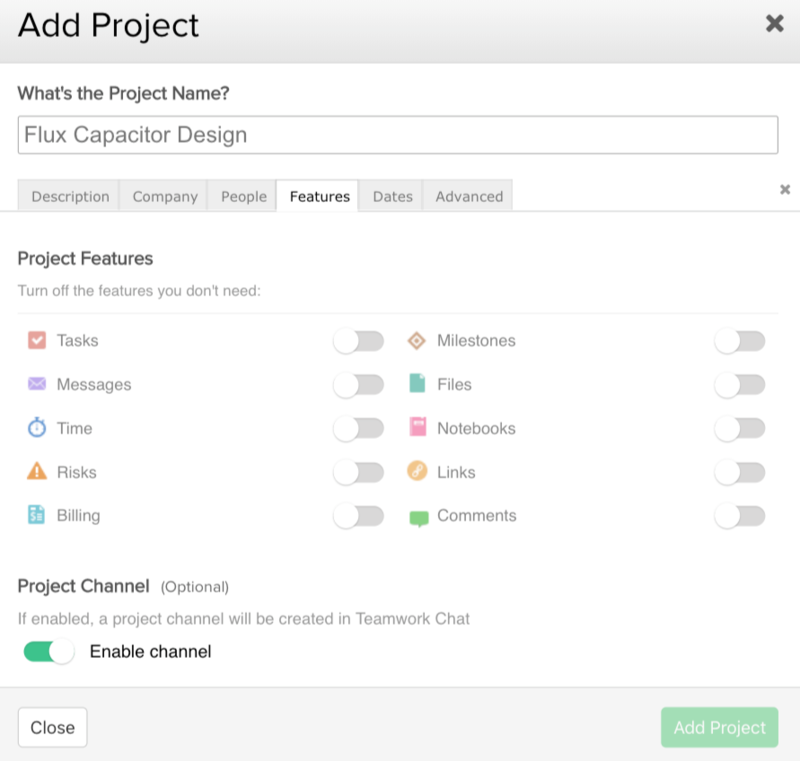 You can also enable a project channel when first creating a new project. In the Features tab of the add project modal, you will see an option to enable a channel at the bottom. Note: A channel cannot be disabled from within Projects. If you want to disable it, you will need to unlink the project in the channel's settings within Teamwork Chat.